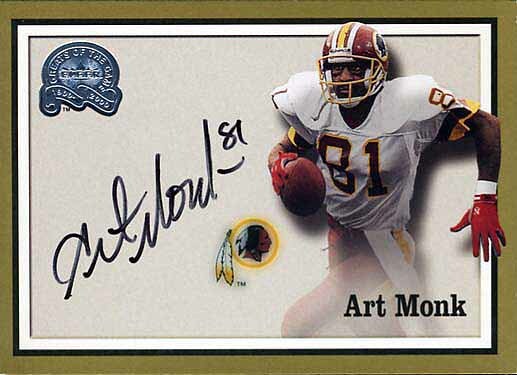 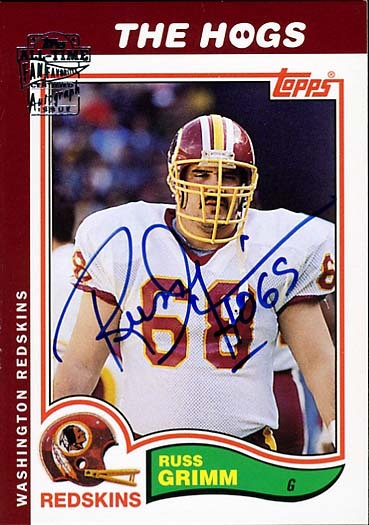 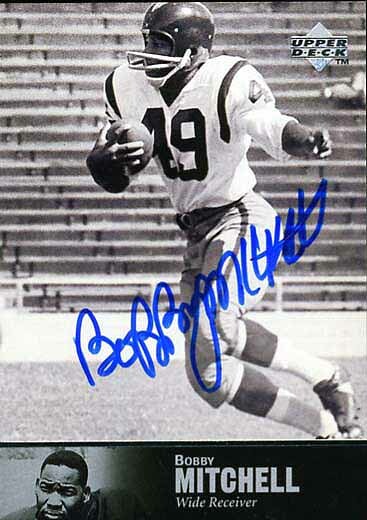 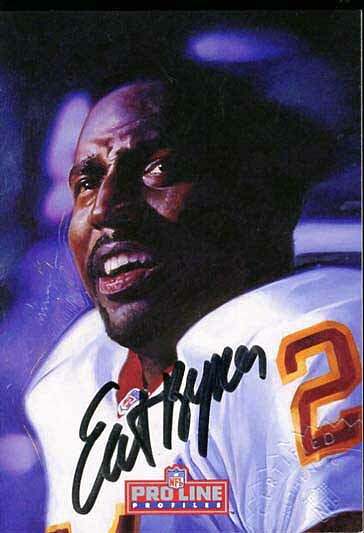 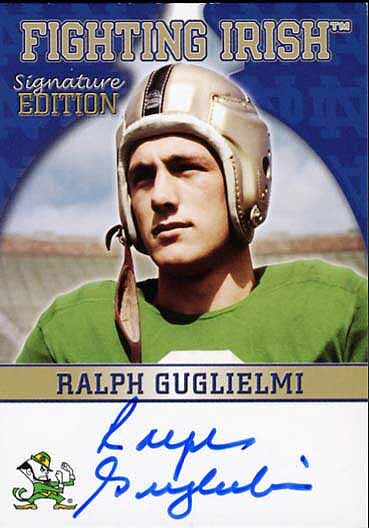 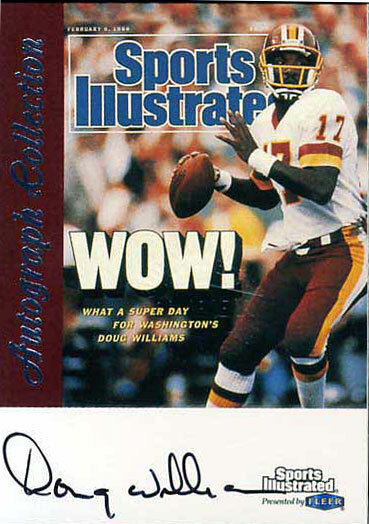 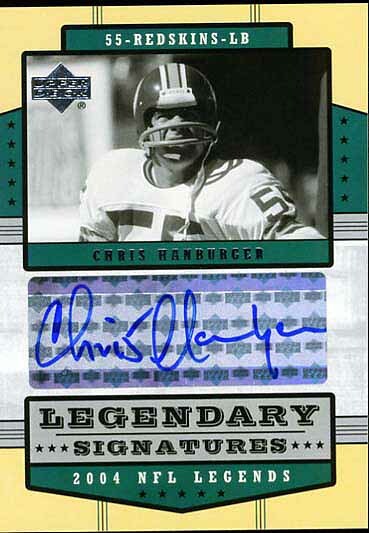 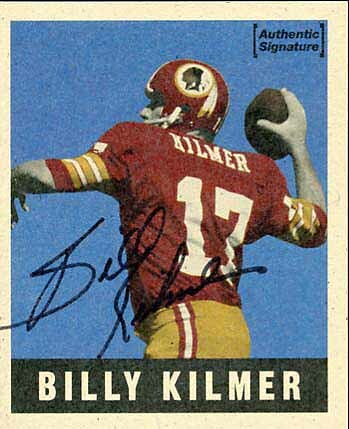 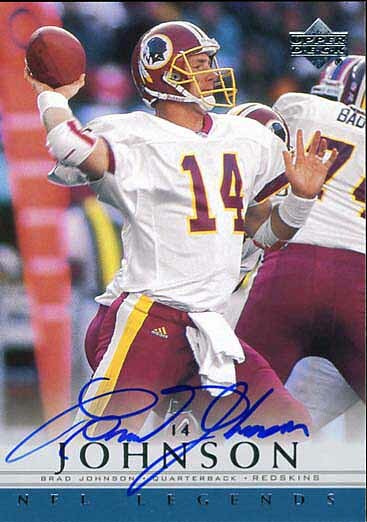 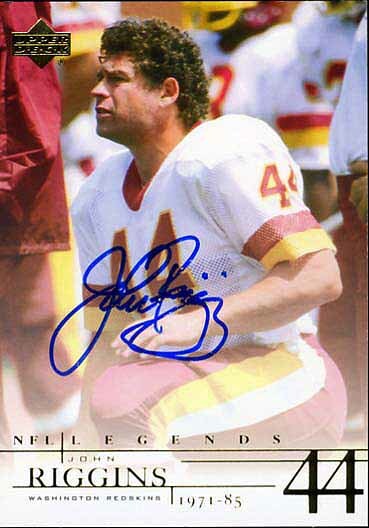 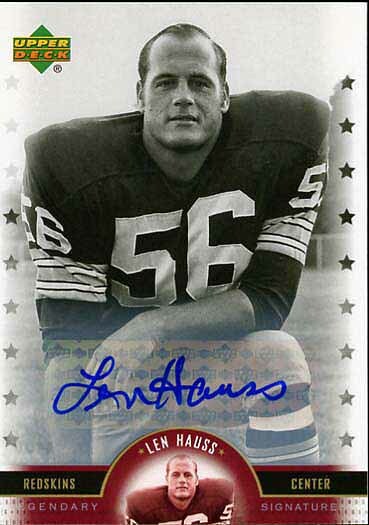 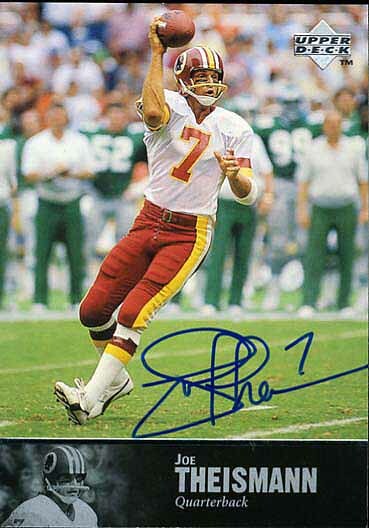 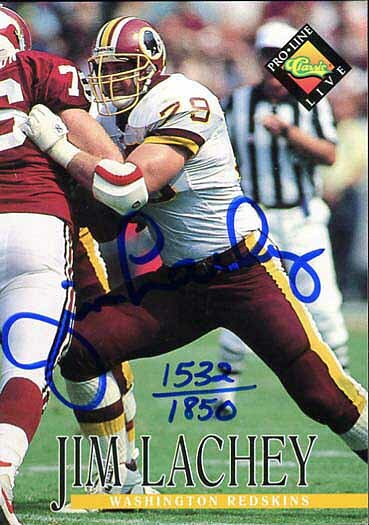 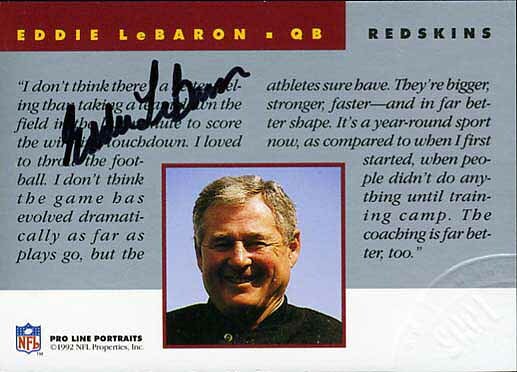 I love autographed insert Redskins football cards. 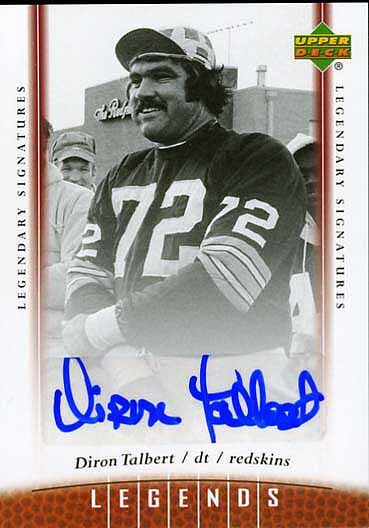 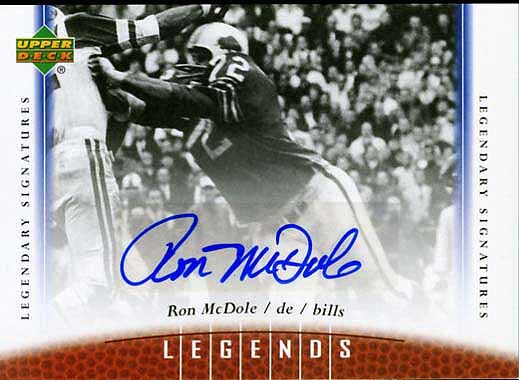 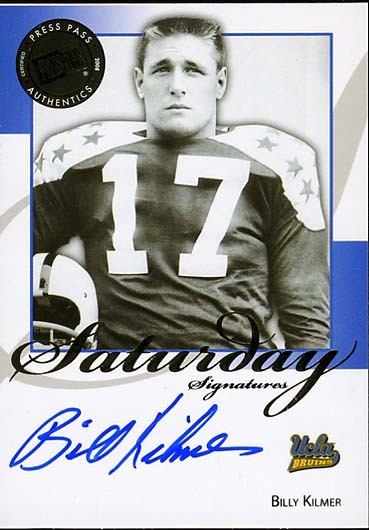 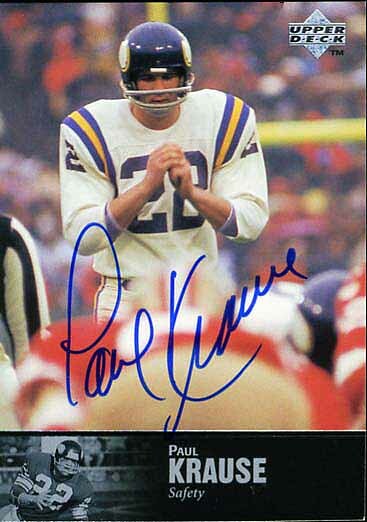 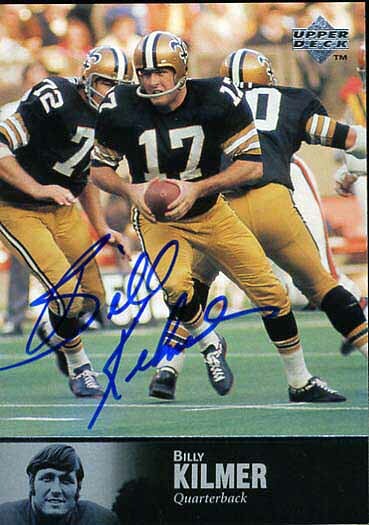 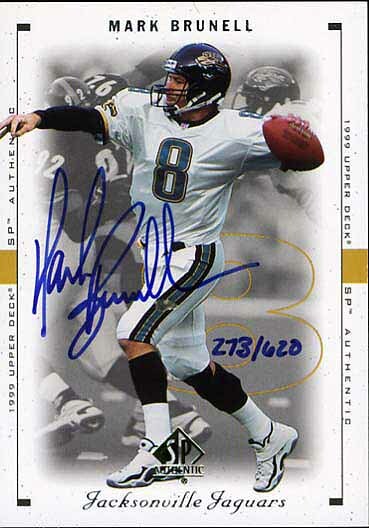 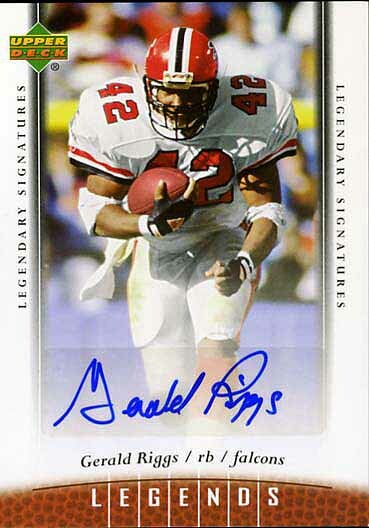 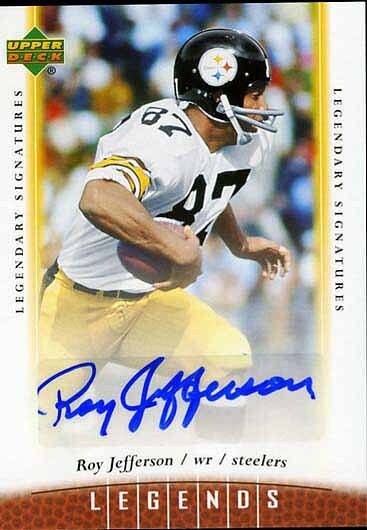 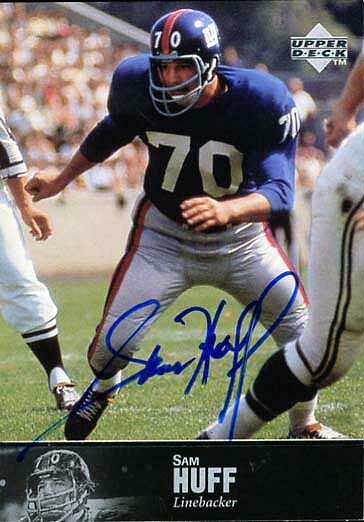 When I buy these cards, I know I am getting a legitimate autograph. 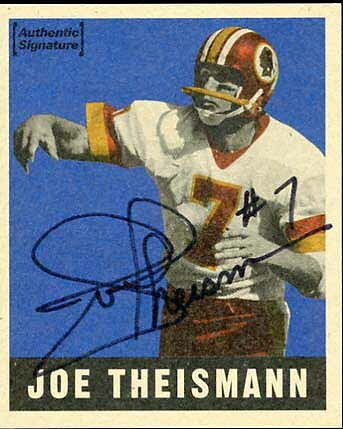 As a result, I will not buy any autograph cards that aren’t insert cards in the major sets unless they have been PSA/DNA certified. 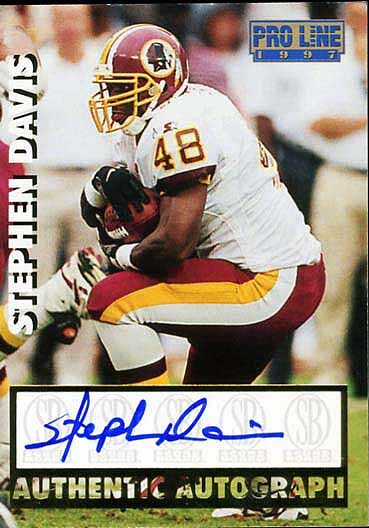 I have a lot of Redskins autographed cards. 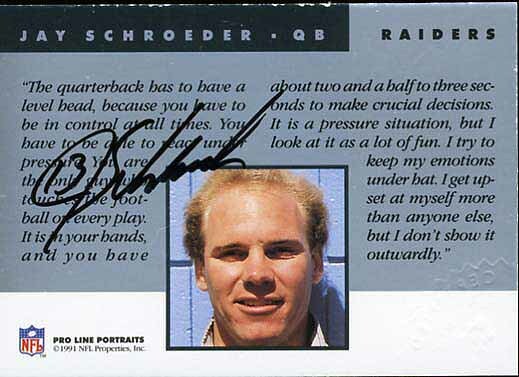 I also have a lot of draft pick cards. 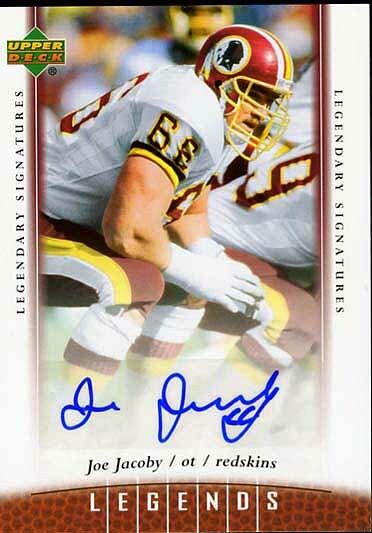 In fact, one of my favorite exercises each year is picking up the Sage autographed cards of recent draft picks. 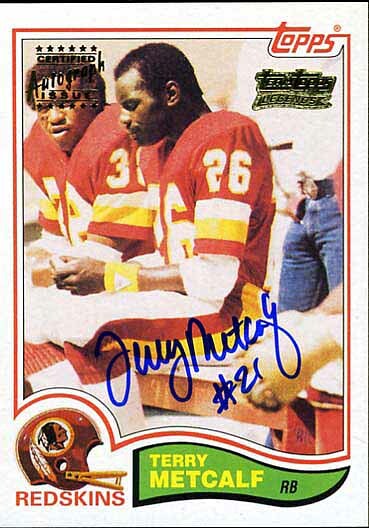 Unfortunately, I have not figured out how to get good scans of some of the more reflective cards, which includes all the Sage cards. 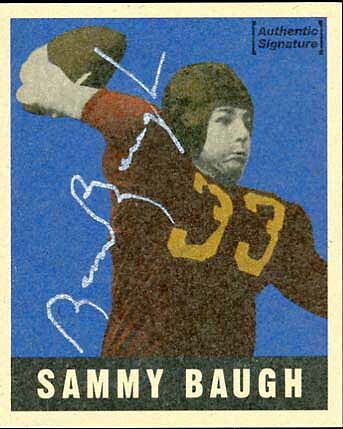 So, look for a separate exhibit on the Sage cards. 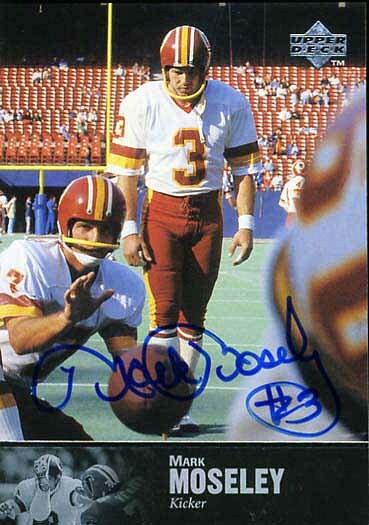 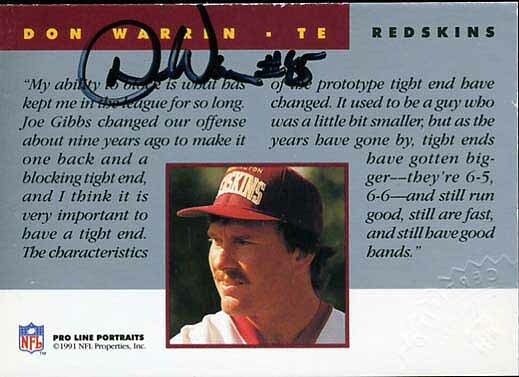 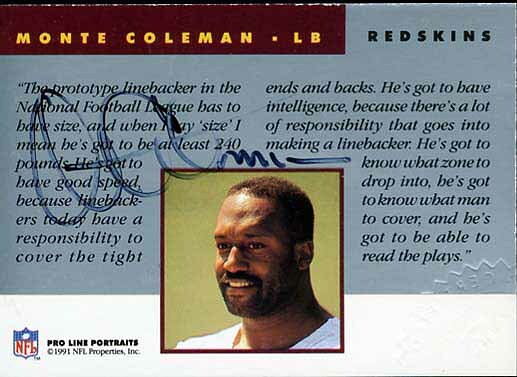 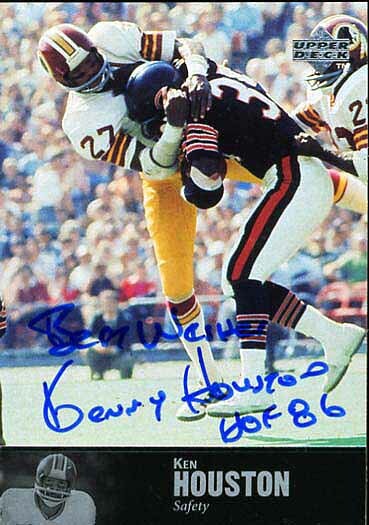 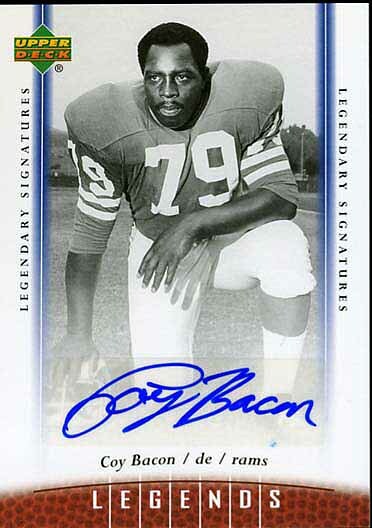 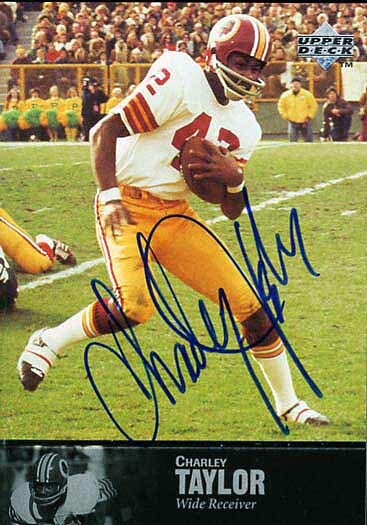 However, please enjoy the fairly broad selection of Redskin autograph cards that are presented below. 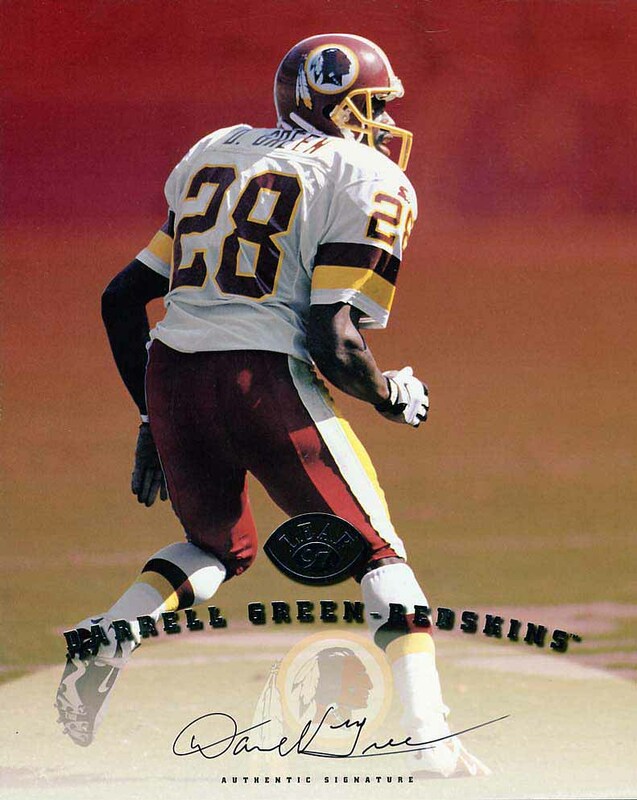 There is an 8 x 10 Leaf Autographed Card of Darrell Green. 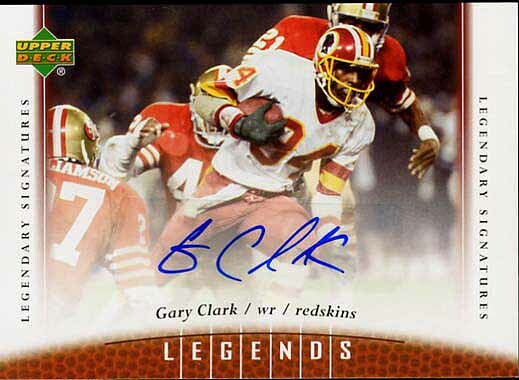 I think a Darrell Green autographed card is a pretty tough find.